The missions could be likened to photography we’re familiar with on Earth. GOLD specializes in landscapes from its view 22,000 miles above the planet’s surface and ICON—at 350 miles above Earth—captures detailed close-ups. During parts of its orbit, ICON passes through GOLD’s field of view and each mission will get a unique snapshot of the same region. This overlap in their data makes it easier to identify what caused a certain change to the upper atmosphere at a given time. 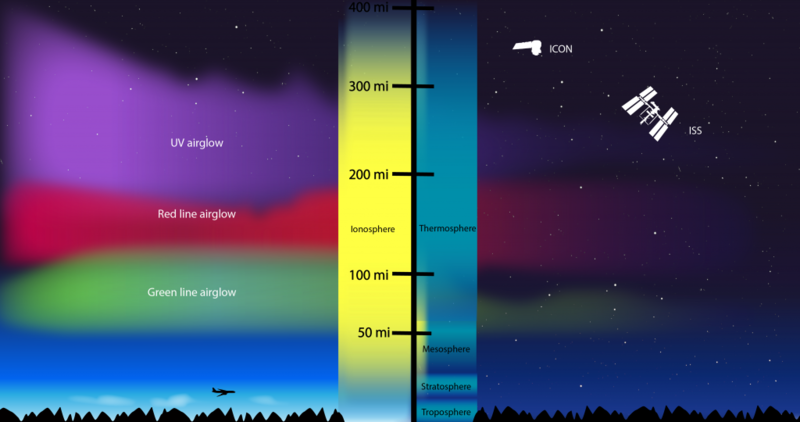 On the other hand, ICON concentrates on how charged and neutral gases in the upper atmosphere behave and interact. Several forces—including shifts in neutral winds, pressure gradients and solar activity—act on the ionosphere simultaneously; ICON was designed to study each of them individually, making it easier for scientists to elucidate cause-and-effect relationships. ICON and GOLD join a small fleet of spacecraft that study a vast interconnected system from the space surrounding Earth and other planets to the farthest limits of the Sun’s constantly flowing streams of solar wind. 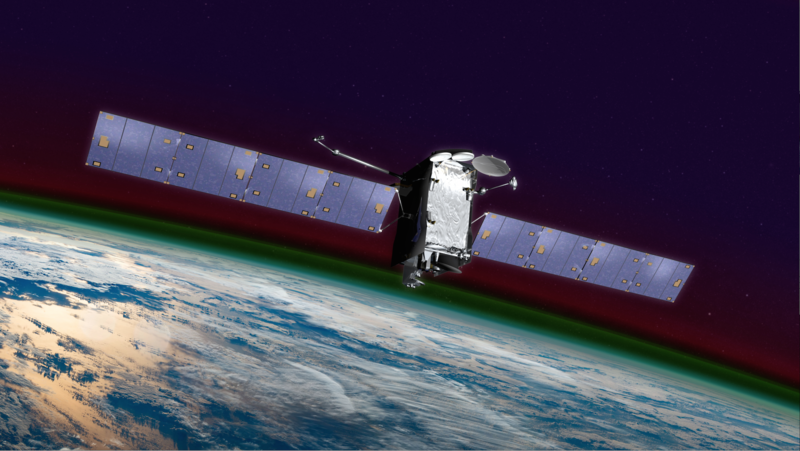 A third mission in the fleet—the 16-year-old Thermosphere, Ionosphere, Mesosphere Energetics and Dynamics, or TIMED—will specifically complement the new efforts to study the upper atmosphere. TIMED, which launched in 2001, doesn’t carry all the instruments necessary to analyze the motion of the particles in the upper atmosphere that ICON and GOLD bring to the effort, but it still can provide key measurements from a third vantage point to help scientists fill in pieces of the puzzle. Together they will provide key information about how Earth’s upper atmosphere connects to the dynamic and complex system of space that fills our solar system. GOLD is led by the University of Central Florida, and the Laboratory for Atmospheric and Space Physics at the University of Colorado Boulder built the instrument. GOLD is a NASA mission of opportunity—an instrument hosted on an otherwise unrelated satellite. 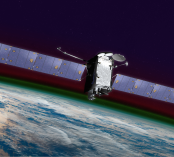 GOLD flies in geostationary orbit on a commercial communications satellite, SES-14, built by Airbus for Luxembourg-based satellite operator, SES. GOLD is the first NASA science mission to fly as a hosted payload on a commercial communications satellite.